Bring the warmth and convenience of coffee into your business with the help of Accent Vending. Our company offers a variety of coffee machines and supplies that keep your employees caffeinated and ready to serve the needs of your customers with a smile. At Accent Vending, our team of dedicated specialists offers only the highest quality coffee, cappuccino, hot chocolate, and other specialty drink items for you and your staff to enjoy every day. These drinks are ideal for use in an easy-to-use self-serve brewer that we provide for your break room or coffee station. Are you having a meeting or special event? Let us help by delivering cases of Soda, Juice and Snacks right to your door. 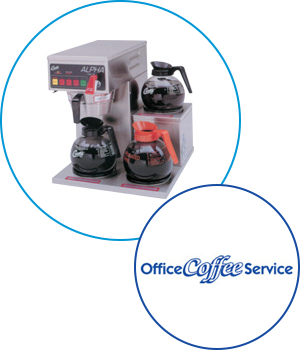 We can even supply the cups, paper products, sugar, and flavored creamers for your break rooms and lunchrooms to ensure you have everything you need to enhance your coffee experience.